Why have classes been cancelled for students? 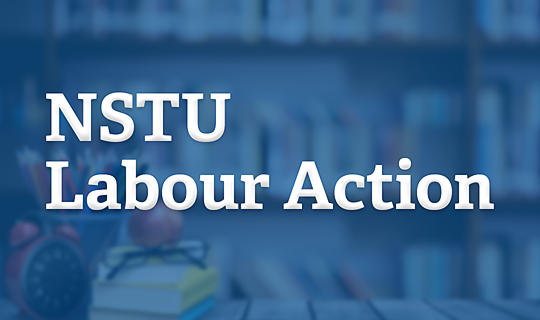 In response to concerns about student safety resulting from the planned NSTU strike action, all school boards in Nova Scotia were directed to cancel classes for students by the Minister of Education and Early Childhood Development. When will classes start again? Classes will resume once the legislation being introduced on Monday is proclaimed. This could take a few days. Are staff still expected to report to schools? Work locations (including schools) remain open for all employees, including teachers. All employees are expected to report to work, with the exception of those doing student monitoring. As per usual practice, when there are no students present there is no student monitoring. What work will staff complete if there are no students at schools? We expect that teachers will take the time to complete marking and to prepare future lessons. Other staff members will receive direction from their immediate supervisor regarding assignments. Will Early Years Centres, SchoolsPlus and the Four Plus program be affected? These programs will continue to operate as normal. Will my child’s co-op placement be able to continue? No. Co-op placements cannot continue while classes are cancelled. We will be reaching out to co-op employers to explain the situation. Will this impact the International Students Program? International students, like all students, will not be attending school during this temporary period of time while school is closed to students. Their host families are being contacted. Will communities still be allowed to use schools? Yes, community use of schools will continue as long as the organization using the school site has a Facility Use Permit completed and on file with the school board. It is very important to check http://www.ccrsb.ca/nstu-labour-action-information regularly for updates and developments.